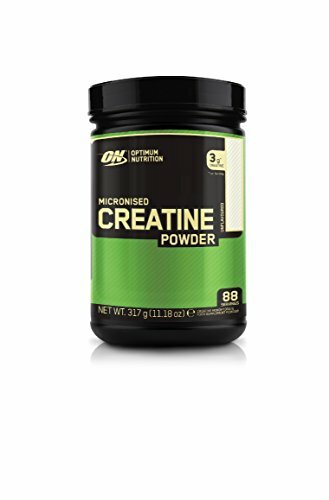 Micronised Creatine Powder: Each serving supplies a full 3 grams (3000 mg) of 99.9 per cent pure Micronised Creatine Monohydrate. 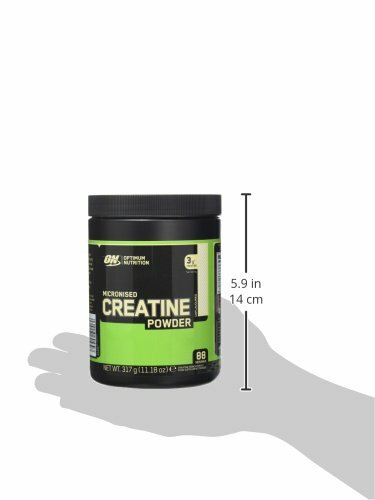 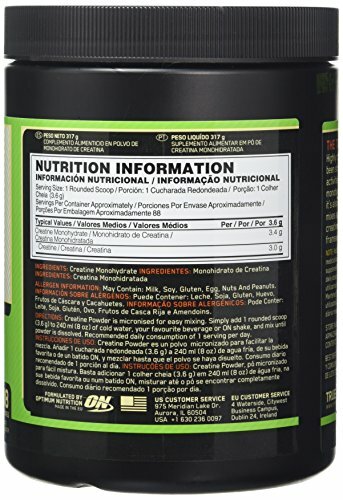 The production method used to produce this Creatine yields a tasteless, odorless powder that mixes easily into water or juice and does not readily settle to the bottom. 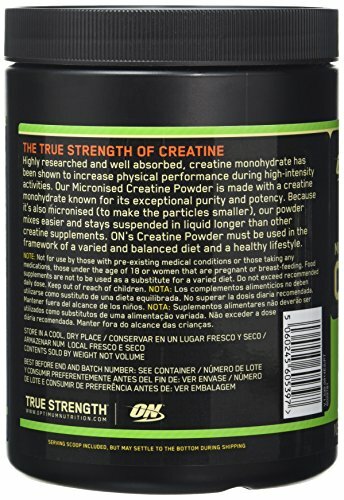 As a result, you will not experience the gritty taste.